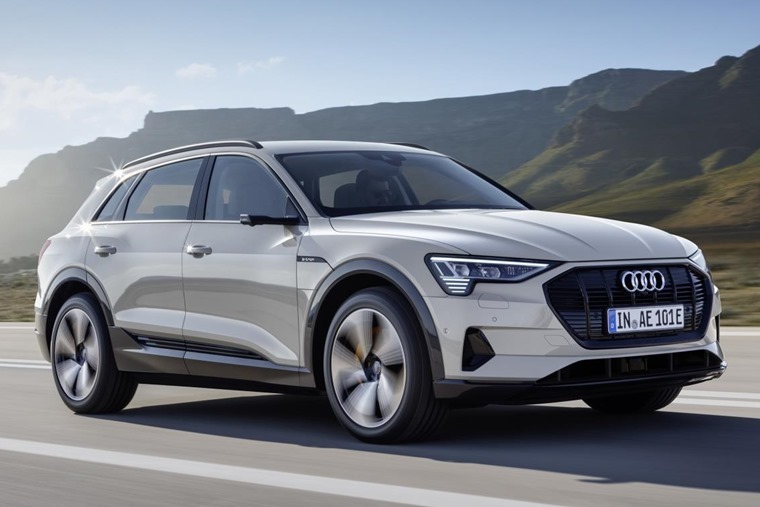 The Audi e-tron is now available to order, with list prices from £71,490 rising to £82,240. You can find the latest lease deals and monthly rates here. It’s the company’s first all-electric car and it takes the shape of an SUV. At under five metres in length, it’s somewhere between the Q5 and Q7 in terms of size. Style-wise, however, it gets a much more conventional look than the I-Pace or Model X.Taking a similar approach as the Mercedes EQC; subtlety is the order of the day. You really could mistake it for any other SUV in the Audi line-up. Up front, Audi’s usual sweptback headlights are present, as is the usual hexagonal grille that dominates the front of the car. 20in alloy wheels are standard, as are LED headlights. It benefits from a slightly different design than combustion-engined cars though, as there isn’t a need for as much airflow. The grille is still functional though, with cooling inlets present for the front brakes. Along with a standard air suspension set-up, this is all meant to improve the car’s aero and therefore its range. At the side, the stand-out feature are those “virtual” door mirrors (more on those later), while at the rear the light panel spans the width of the car, much like the new Q8. Inside, it’s full of the same cutting edge tech that’s on offer in the latest A8, with two MMI touchscreens making up the centre console, plus a standard Virtual Cockpit LCD display that replaces the driver’s instruments. A Launch Edition will be available that includes a black styling pack, window caps and rear privacy glass. It also gets Valcona hide leather, a panoramic sunroof and electric steering wheel adjustment. For an electric car, boot space is impressive at 660 litres; that’s better than the I-Pace and significantly more than the 500 litres of space the upcoming EQC will offer, too. The optional virtual exterior mirrors are much narrower than standard mirrors and reduce the vehicle width by 15cm. They not only reduce drag, but also noticeably cut the nonetheless low wind noise thanks to their new shape. 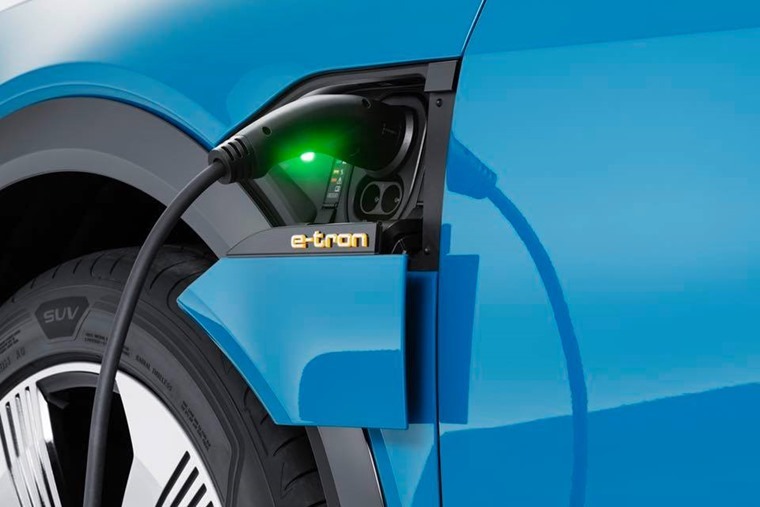 A 95kWh lithium-ion battery and two electric motors provide the e-tron with 300kW of power – around 402bhp. This means it’ll get from rest to 62mph in less than six seconds, although like most EVs top speed is limited, in this case to 124mph. 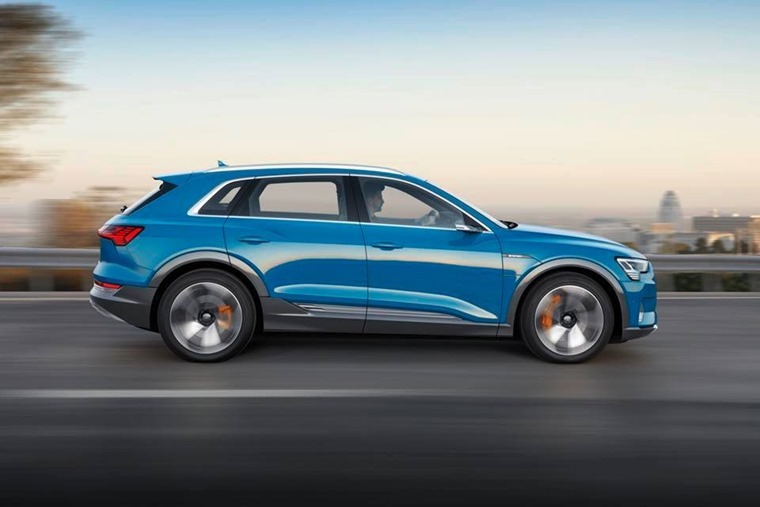 The battery packs sit on Audi’s new MEB platform – an electrified version of MLB (that underpins the Q5 and Q7). It’s the first of a new generation e-tron models that form Audi’s electric ambitions over the next decade or so. It has DC fast charging capabilities of 150kW, enabling you to recharge the battery to 80% in around 30 minutes. That theoretically means it’ll be quicker to charge than a Tesla, which currently charges at 120kW. But how about range? Official stats are to be confirmed, but Audi promises 241 miles of range between charges. Aside from fast-charging that’ll be available at plug-in points across Europe – the Ionity network being a notable example – charging will take around 8.5 hours via a 400V three-phase outlet. 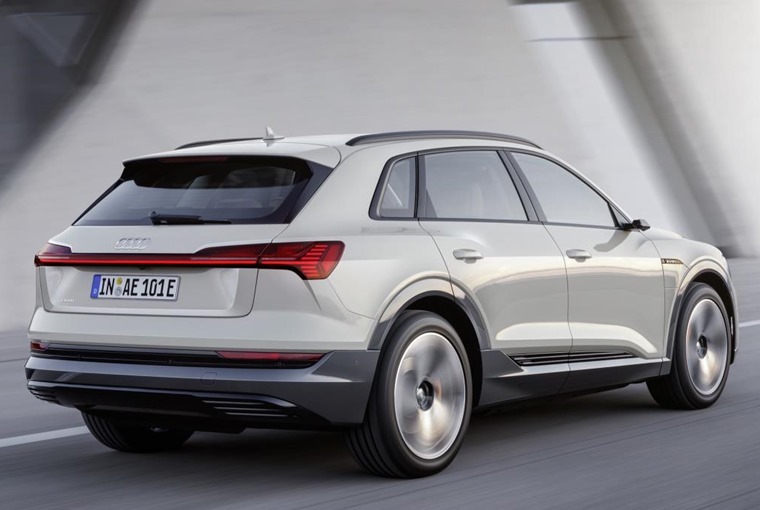 Audi hopes that this initial standalone e-tron model will form the basis of a new range of cars, much like the Quattro all-wheel drive model did back in the 1980s. You can check out lease deals on the e-tron by clicking here or, if you’re considering its Jaguar-badged rival, you can find our I-Pace review and check out lease deals here.